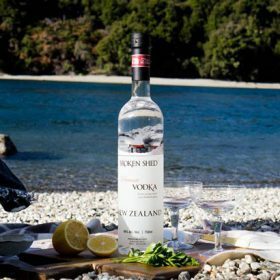 New Zealand-based Broken Shed Distilleries has signed a distribution deal with Horizon Beverage Company in the US. The Rhode Island-based company will distribute Broken Shed Vodka across the state of New England. Sam Brown, executive chairman of Broken Shed Distilleries, said: “We are honoured to be working with Horizon in New England. “They have a reputation as a strong partner with a very committed sales force and excellent management team, everything you would want in a distributor. Broken Shed Distilleries is actively seeking to expand distribution across America for its vodka, which is made from whey distillates. Bottled at 40% abv, Broken Shed Vodka will be available across the state of New England in select on- and off-trade venues. Earlier this year, the New Zealand-based spirits producer named Jean-Marie Heins as its chief marketing officer.